Maybe you’re a dynamic individual who loves the idea of organizing a team and working toward a goal. Perhaps you’ve always been told you have great leadership potential. 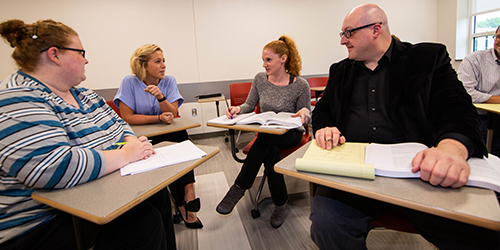 Whether you’re looking for a career in public or nonprofit management, you’ll gain everything you need in the Department of Public Administration and Health Management at Indiana University Kokomo. When you graduate, you’ll be primed and ready to go forward and create change and make a difference in your community and in the world. Experienced faculty. Internship experience. Small class sizes. Friends who love the same things you do. In the Department of Public Administration and Health Management, you’ll fit right in as you learn the ins and outs of how to oversee and lead future teams and operations. From undergraduate programs to graduate work to minors, get the skills and knowledge you need at IU Kokomo. 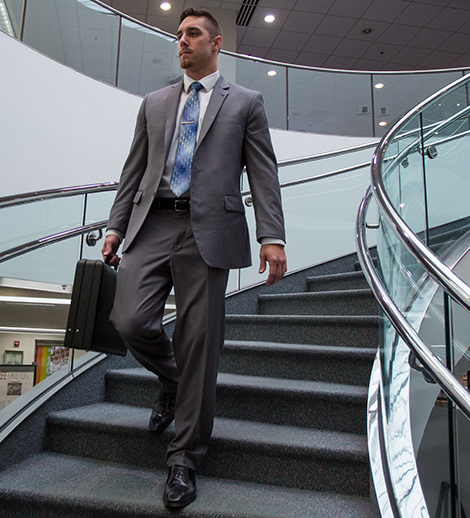 The School of Business is accredited by the The Association to Advance Collegiate Schools of Business (AACSB International), 777 South Harbour Island Blvd., Suite 750 Tampa, FL 33602 on both the undergraduate and graduate levels. The next scheduled visit is 2021. 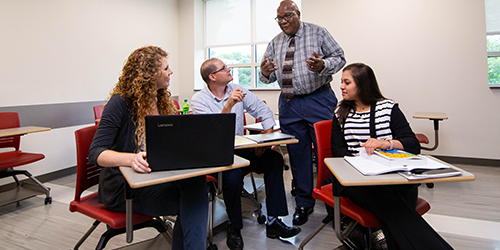 Please note that while the Department of Public Administration and Health Management is housed alongside the School of Business, the department is not accredited by the Association to Advance Collegiate Schools of Business (AACSB) International which accredits the School of Business programs. The P.A.H.M. program is excluded from such accreditation given the relatively low level of business content. The Department of Public Administration and Health Management (PAHM) is a multidisciplinary unit of Indiana University Kokomo and it is organized as a professional division. It is the mission of PAHM to prepare tomorrow’s leaders through innovative education, to solve complex problems through interdisciplinary research, and to enrich society through professional service. The Department of Public Administration and Health Management at Indiana University Kokomo defines the mission of both undergraduate and graduate programs in terms of its responsibility to the profession of public administration and health management; to the public, non-profit, and community organizations which the field supports; to the university and its diverse students; and to the national and international communities they all serve. PAHM’s teaching mission is defined in terms of the role the department plays in enabling current and future public servants to develop skills necessary to address challenges posed in public management, health management, and administration in nonprofit organizations, governance, policy-making, implementation, and organizational effectiveness. PAHM strives to orient its students to the public interest, humanistic acumen, personal contribution and to the client/citizens, not merely to technical outcomes. In its service mission role, PAHM strives to fulfill the ideal of public service as an example to the profession and to its students as a means to continued personal development as faculty, to provide leadership, technical support, and mentoring in a manner that recognizes social interdependence, democratic ideals, and the needs of social justice. Through its research mission, PAHM strives to meaningfully address the body of social knowledge and experience through interpretation, re-interpretation, and creative insight. We accept the responsibility for helping to create standards of excellence and conduct for the profession of public administration both nationally and internationally. We are especially concerned with knowledge that promotes a functional and responsible praxis of thought and action in the classroom, in the work environment, and in the society within which they co-exist. Overall, PAHM strives to develop student sensibilities to a wide variety of human, social and organizational realities, which assist public and nonprofit organizations in formulating and achieving responsible social change.